The historical style of the Baroque period is incomparably richer in the development of mural and hanging paintings. It is concentrated in mural painting related to the construction of new, mostly sacral buildings, as well as in hanging secular painting. The development of sacred mural painting was mainly driven by numerous monastic religious orders, especially the Jesuits and Piarists, who were financially supported by the Catholic nobility. Early Baroque painting in Slovakia is represented through several productions of Christian Knerr from Vienna. He worked on the decoration of the vaults of the Jesuit church in Trnava, but also to order for the Pálffy family. Mature Early Baroque expression is found in the work Carpoforo Tencalla, who is the creator of a unique set of frescoes in the Salla Terrena of Červený Kameň castle from 1655. In the high Baroque period there are exceptional paintings in the Jesuit church in Trnava, created by the Viennese painter J. Gruber in 1700. The area of the free chamber painting is concentrated on a portrait, focusing its attributes particularly on social status, prestige and the display of power. 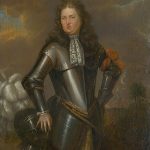 The specifics of the painting are the posthumous portraits of the Protestant nobility. Ján Kupecký was an outstanding individual of Central European Baroque painting (1667 – 1740), who came from Pezinok, but worked mostly abroad (especially in Italy, Austria and Germany, where he died). Slovakia has preserved several portraits of this exceptional and renowned portraitist. Jakub Bogdan (1660 –1724) was a significant personality of Slovak Baroque painting. His painting mainly dealt with the still life and hunting genres. As in the works of Kupecký even Bogdan’s work is scattered throughout Western Europe. At the invitation of King William II of England, Bogdan became the king’s court painter. Despite the fact that Slovakia has preserved quite few of Bogdan’s paintings, his work is part of the cultural heritage of Slovakia. In the High Baroque period in Slovakia there were implemented substantial ceiling forms of illusive painting, imported especially from Germany. In Slovakia it was fully developed in the early 18th century. Its representatives were the Tyrolean artist Joseph Kurtz, who settled in Slovakia in the years 1692 – 1737, as well as Martin Speer, originally from Regensburg. Excellent quality and distinctive inspirer of illusive ceiling painting applied to Slovakia arose with the Italian Andrea Pozzo, operating for several years in Vienna. According to his style decorations of several important works of sacred architecture in Slovakia were painted. 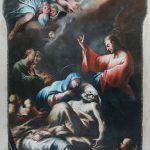 A type of Pozzovian illusive ceiling painting is, for example, the painting in the Church of St. Francis Xavier in Trenčin, which in the years 1712 – 1715 was produced by Pozzo’s student Christoph Tausch. Another outstanding example of late Baroque ceiling painting is specific, so-called quadrature painting applied in Slovakia by the exquisite Italian fresco painter Antonio Galli Bibiena with paintings in the Church of the Holy Trinity in Bratislava in 1744. 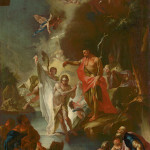 From the period of the second half of the 18th century several exceptional examples of Central European Baroque illusive painting initiated by the stay of important German artist Paul Troger (1698 –1762) are preserved in Slovakia. A solitary example of his work in Slovakia is a High Baroque gem – the ceiling frescoes and altarpieces of St. Elizabeth’s Church in Bratislava from the period of 1842 –1843 (architect F.A. Pilgram, sculptor Ľ. Gode, paintings by Troger). The Troger painting style of the late Baroque was followed by several young artists (the post-Troger generation). 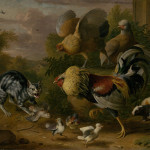 Among them was the European level Austrian painter Johan Lucas Kracker (1717 – 1779), who also worked in Slovakia. He created spectacular works here – paintings of the Monastery Church in Jasov (1752 – 1764), Southeastern Slovakia, with motifs from the life of St. John the Baptist and allegories. A representative of the Troger school in Slovakia was the Austrian painter Franz Anton Maulbertsch (1724 – 1796), the most important personality of late Baroque painting in Central Europe. In the mature period of his work he created a specific style in regards to bravely depicting light, color and form. He created several murals in Western Slovakia. The most significant are the frescoes and altarpieces of the Chapel of the Assumption of the Virgin Mary in the former Erdődy manor in Trenčianske Bohuslavice (1759 – 1763), the altarpieces in St. Michael’s Church in Skalica (1778) and the chapel fresco of St. Ladislav in the Primatial Palace in Bratislava. There are two Maulbertsch altar paintings in central Slovakia, created in Vienna, for St. Francis of Assisi Church in Kremnica (1796). In the High Baroque period, in addition to Western Slovakia, Central Slovakia became the second center of development in painting. The impetus was the mineral resources and business development in the Central Slovak mining towns, as well as the renewal of religious life since 1711, when peace was established in Hungary after the Turkish invasions and internal unrest (uprisings, the Reformation and Counter-Reformation pressure, plague epidemics). Austrian painter Anton Schmidt (1706 – 1773), together with the sculptor Dionýz Ignatz Stanetty, carried out all major orders within the Central Slovak mining towns (Banská Bystrica, Kremnica, Banská Štiavnica, Nová Baňa, Sv. Anton). Their greatest work was the decoration of the unfortunately not surviving Church of the Assumption in Kremnica. 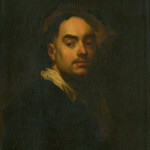 The portrait painting genre was also popular in the 18th century. The main form of secular painting in this period was the Baroque portrait, as well as other worldly genres – still life or mythological, hunting and other genre scenes or occasionally shooting game. Creators of portrait and still life operating in central Slovakia included Štefan Michal Izbighy, originating from Košice and the Czech artist Karol Jozef Aigen from Olomouc. Most works of the portrait genre and still life, initially kept in numerous private aristocratic collections in Slovakia, contain mostly the work of unknown Central European artists. Finally, the Baroque and its move into the popularized Rococo in murals are represented by native Bratislava painter Adam Friedrich Oeser (1717–1799). He worked mainly in Germany, where he was the first Director of the Academy in Leipzig. In Bratislava he produced the unique painting in the Evangelical Church on Panenská Street with the main altar of Christ at Emmaus. Finally, the 18th century saw the individual genre of landscape painting brought into the development of painting. The creator of the first landscape paintings was Johann Christian Brandl (1722–1795). A little later, this classic painting genre was developed by Karol Filip Schallhas (1769 – 1797).